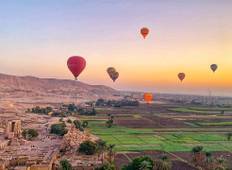 Say yes to adventure by hopping on a tour of Egypt designed for single travellers and explore the world on your own. The itineraries will guide you through the streets of Cairo, and charm you with the vibe of Luxor. 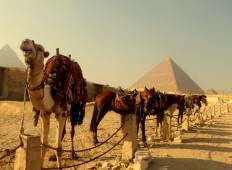 Find the tour of Egypt that suits you, travel solo and observe the world up close. "Shady is such an awesome tour guide. He really cares about his members. He is not..."
"Great itinerary and Peter’s knowledge and enthusiasm is first class!" "This was an amazing tour was actually called the Sunchaser Ramadan was awesome great..."
"Egypt is AMAZING! If you want a tour of a lifetime than go with Vacations To Go Travel...."
"As a solo female traveller, Egypt was a little daunting before I left. After travelling..."
"The tour was excellent, just a little disorganised in the beginning. Prior to the..."
"Thank you, Insight Vacations, for making our dream come true! We have had a fantastic..."
"Rich culture , wonderful people and thank to vacations to go travel who made this..."
"They took care of everything. They met us at the gate and helped us change money..."